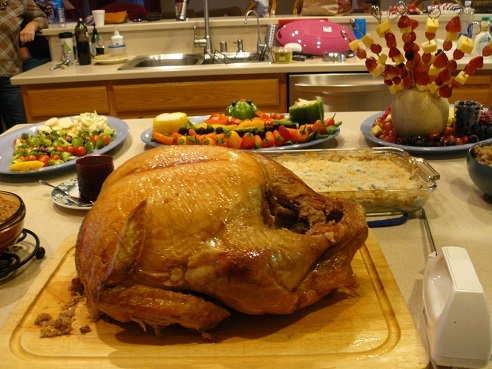 Thanksgiving Facts and Tips for a Simpler Stress-Free Healthier Meal! You have all heard the traditional Thanksgiving story! The original gathering took place in the autumn of 1621 between the Pilgrims and the Indians to celebrate making it through the first year at Plymouth Rock. Many had died, but they made it through with the help of the Indians. A harvest festival was proclaimed and lasted three days. This was a centerpiece that my Mom just did for her Holiday Table. Turkey and pumpkin pie were probably not included, but fish, berries, watercress, lobster, dried fruit, clams, venison, and plums, were probably on the menu! The next Thanksgiving Day was celebrated in June 1676, to commemorate the fact that their community in Massachusetts was secure. The day was set aside as a day of Solemn Thanks and Praise to God. The Indians were seen as a hindrance to acquiring land, rather than a help at this time, and were not included. In October 1777, another Thanksgiving celebration took place, to celebrate the victory over the British in Saratoga. In 1789 George Washington proclaimed a National day of Thanksgiving, but many people were opposed to it because they did not believe that the hardships of the pilgrims warranted a national holiday. President Thomas Jefferson was opposed to having this holiday. The feast did not become a national day of Thanksgiving until 1863, when President Lincoln proclaimed the last Thursday in November a day of celebration. Every President after that proclaimed this holiday. The date was changed a couple of times, but in 1941, Thanksgiving became a legal holiday, occurring on the fourth Thursday in November, more than 300 years after the original feast. Thanksgiving today has come to be associated with family reunions, turkey and stuffing, eating way too much, eating pumpkin pie while stuffed, The Macy’s Thanksgiving Day Parade, an expensive time for air travel, football, and the start to the crazy holiday shopping season known as "Black Friday" and "Cyber Monday"! It remains a day of gratitude and food like the original celebration though! Gratitude is defined as the quality or feeling of being grateful or thankful. It is an important quality to develop in your life for many reasons. Many studies have shown that grateful people are happier; less stressed out and depressed, and experience greater satisfaction in life. The practice of starting a gratefulness journal and writing down three things you are grateful for each day, can actually increase your happiness! Take the time to be grateful! 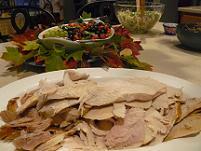 Thanksgiving is a day centered on foods that are harvested in the fall. (See my Fall Weight Loss Tips!) The traditional meal includes: stuffing, turkey, mashed potatoes, sweet potatoes, ham, cranberries, rolls, green beans or corn, gravy and topped off with pumpkin pie! It’s a high fat carbohydrate feast! Vegetable Turkey, inspired by Lauren Kelly, Certified Nutritionist on Facebook and made by my sister Leigh Storz. Skip the pre-meal appetizers. You know those dips and chips that add hundreds of extra calories, and fill you up before the serious eating begins! Downsize your turkey to a chicken! Turkey’s are hard to cook, because they are so big. Chickens taste better, are easier to handle, and less fussy to cook and carve! Make your dressing from scratch, rather than a box. You will be amazed at how much better it tastes. No stove top stuffing in a pouch! Fill it full of celery, onions, and any chopped vegetables that you love. You can prepare all ingredients the day before and whip it together at the last minute. Unless you just love the last minute hassle of gravy; buy healthy pre-made gravy. This will greatly cut out last minute stress, or have a relative make it at home and bring it! Reheating works great! Make your cranberry sauce from scratch, rather than buying it from the can. You can add less sugar and the end product does not even taste similar. Choose only one other carbohydrate between potatoes, yams, corn, or peas. Enjoy the real vegetable, rather than adding lots of fattening goodies. Simple foods taste great. Mashed potatoes can be made ahead of time and kept warm in the oven, to eliminate the last minute stress too. 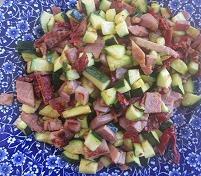 Add a fresh low carbohydrate vegetable to the meal. Ditch the green bean casserole. Fresh green beans taste so much better! 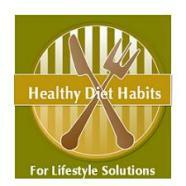 Fix a low carbohydrate fresh salad that is not full of fattening goodies! 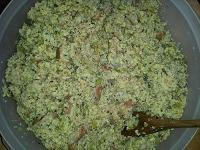 A green salad full of fresh ingredients will be a highlight of the heavy meal! Fix a fresh fruit salad, rather than a Jell-o salad full of canned fruits. Fresh fruits are a treat at this time of year. Stick with pumpkin pie, or a lower calorie dessert choice. Serve only small portions. Remember that Costco pies are meant to be cut into 16ths. No need for huge pie pieces, when such a heavy meal has already been consumed. Your guests will thank you. The goal of the Thanksgiving meal should be simplicity! Fix your special dishes from simple, scratch recipes, using real foods. 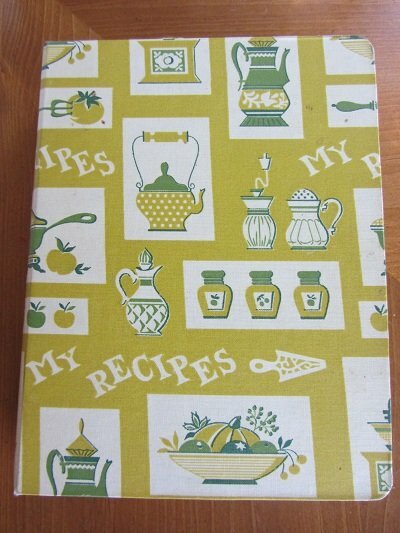 Choose recipes that can be fixed the day before, to eliminate stress and allow you to enjoy your family and friends! Practice healthy diet habits and count your many blessings too! For some additional tips on how to lighten your Thanksgiving Recipes and Meal, see my Thanksgiving Recipes page!